EMIG is a multi-stakeholder network and trade industry association that represents the interests of the full span of life sciences companies in the UK. Our industry Members, range from new business start-ups focused on R&D, through to well-established companies delivering a wide range of essential medicines to patients. EMIG Members supply 50% of branded medicines, by volume, to the NHS. EMIG is the sole representative body of 90% of its Members. EMIG has over 270 Member Companies and organisations – including Associate Members drawn from academia, patient organisations, learned societies and companies providing essential support services to the Life Sciences ecosystem. Collectively we represent the breadth of the health and medicines ecosystem, from research, clinical development and manufacturing, through to patient charities, research policy organisations and academic institutions. This means EMIG has become a platform for greater knowledge and ideas exchange. EMIG is a member of the European Confederation of Pharmaceutical Entrepreneurs (EUCOPE). EMIG represents its Members in Government, regulatory bodies, the NHS and academic research establishments in order to ensure that patients are able to access a wide range of innovative medicines. In Government, we work with the Department of Health, the Office for Life Sciences, and the Department of Business Energy and Industrial Strategy. We also work in partnership with a wide range of patient organisations, and represent our Members in dialogue with MHRA, NICE and the HRA. 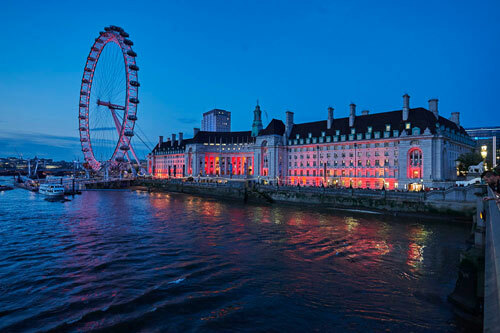 We host an annual Parliamentary Dinner as well as Quarterly Meetings in central London, typically attended by over 100 Members. On request, we connect companies with other Members who can provide practical assistance e.g. in licensing and outsourcing opportunities. EMIG has access to a range of experts that can help across multiple business areas. We commonly provide advice on outsourcing services e.g. PV, finance and legal affairs; working with patient organisations; divestment; sales training; industry Code of Practice. EMIG works closely with the Scottish Government and the All Wales Therapeutic & Toxicology Committee. We have active Special Interest Groups in each of the devolved nations. EMIG is a Member of the European Confederation of Pharmaceutical Entrepreneurs (EUCOPE) which represents the interests of its Members at EU Parliament and EU Commission levels in Brussels, monitoring the legislative agenda. EUCOPE also provides extensive information on EU regulatory and market access issues, as well as cross-Europe networking opportunities for companies. All our Special Interest Group meets three times a year in central London and any member is entitled to join. EMIG represents its Members on the issues directly affecting their businesses. The Steering Group oversees the operation of the organisation, its priorities and work programme, and is led by our Chairman, Leslie Galloway. We are unique among life sciences trade associations in that we have a patient organisation representative on the Group. Members of the EMIG Steering Group include our Chairman, Leslie Galloway, Vice Chairman, Abid Karim, Legal Advisor Paul Ranson, Eric Low OBE of the Amyloidosis Research Consortium, and 12 heads of Member Companies. Our policy is ‘One Member – One Vote’. This means our work programme can be developed and approved by the full breadth of our Membership, with full transparency. EMIG is committed to collaborative working with academia, charities, patient groups and research-focused bodies to encourage scientific research and innovation in the UK. Better Research for Better Outcomes is an initiative joining up stakeholders from these communities to lead a work programme that seeks to develop a UK value framework for better research. Through EMIG’s Medical Directors Forum, we enable all types of Member organisations to work for collaborative advantage, to encourage the sharing of pre-competitive data and best practices, and to ensure that knowledge, innovation and enterprise can be effectively curated within our part of the life sciences sector in the UK. EMIG works alongside our trade association colleagues in life sciences on shared issues. We have a number of Special Interest Groups (SIGs) to reflect the differing interests and needs of the myriad roles that make a successful biopharmaceutical company. SIGs meet quarterly and inform EMIG positions on a wide range of issues, from regulation and research, to pricing and orphan diseases. Each Group has a Chair and the Group determines the content of each meeting agenda. All our SIGs meet quarterly, mostly in central London, and any Member is entitled to join. Policy proposals made by the SIGs are reviewed by the EMIG Steering Group, and ratified by the Membership, often at our Quarterly Meetings throughout the year. The EMIG Business Development group is a networking meeting for those members focussed on building their business by M&A, licensing, partnering and novel in market strategies. Many delegates choose to stay for the networking dinner and overnight. The group was established in 2010 and has become a firm fixture on the UK business development calendar. The EMIG Digital Health Group is a networking meeting for those members focused on understanding the latest developments in digital health and going “beyond the pill”. The group was established in 2016 to meet the need within this new environment. The finance group brings together colleagues from across the finance community of member companies on a quarterly basis to learn, debate and help shape the critical topics and issues affecting the industry from a finance perspective. The EMIG HR Group meets four times per year in London and provides a great opportunity for HR Professionals to come together for networking and the exchange and sharing of information and new ideas. With a seemingly endless flow of legislative initiatives from Brussels and the need for the UK Government to implement such changes, it has never been more important to keep up with these developments – current issues include pricing and reimbursement transparency, data protection, medical devices approval and safety, biosimilars and rare diseases. This is in addition to other changes that impact on companies more widely such as competition law, EU employment developments, bribery and corruption, tax and patents and other intellectual property. So that EMIG members can keep up to date with changes that most affect their business Pinsent Masons LLP and Alexander Natz, Secretary-General of EUCOPE have agreed to establish and run a quarterly EU and Legal Issues Special Interest Group. The aim will be to review recent and forthcoming changes and discuss in depth issues where Governmentconsultation is ongoing or where urgent action may be necessary. Meetings will be held at Pinsent Masons’ offices in the City. Further details including the agenda will be sent out by way of a reminder nearer the time. To promote a scientific and medical research policy and operating environment that supports optimally the growth and sustainability of small to medium-sized pharmaceutical companies. 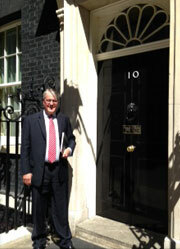 To identify and access new opportunities for technology development with academia and the NHS. We provide a platform for engagement with the NHS and other stakeholders in Northern Ireland and enable networking across Member companies with shared learning. We provide political updates and insights at our Group meetings. The EMIG Regulatory group hold regular information sharing and networking meetings for those members working in Regulatory Affairs, related disciplines or those with an interest in understanding more about current challenges impacting the industry. Events are a valuable networking opportunity, with time allocated at the start of each session for informal networking. The group was established in 2008 and is developing along with EMIG member requirements to ensure it has value for all. Engage with the Bio Industry in Wales.